By all accounts I might as well have been in Italy as I stood amongst the Roman ruins of Volubilis with its eerie-looking cyprus trees swaying in the welcoming breeze. The day was intolerably hot but the ruins remained surprisingly well-preserved for they had been exposed to these elements and temperatures for centuries now. My surroundings seemed to promise gelato and lilting accents waiting for me at the bottom of the hill; yet I wasn’t in Italy–in fact I wasn’t even in Europe–I was standing in Northern Morocco. 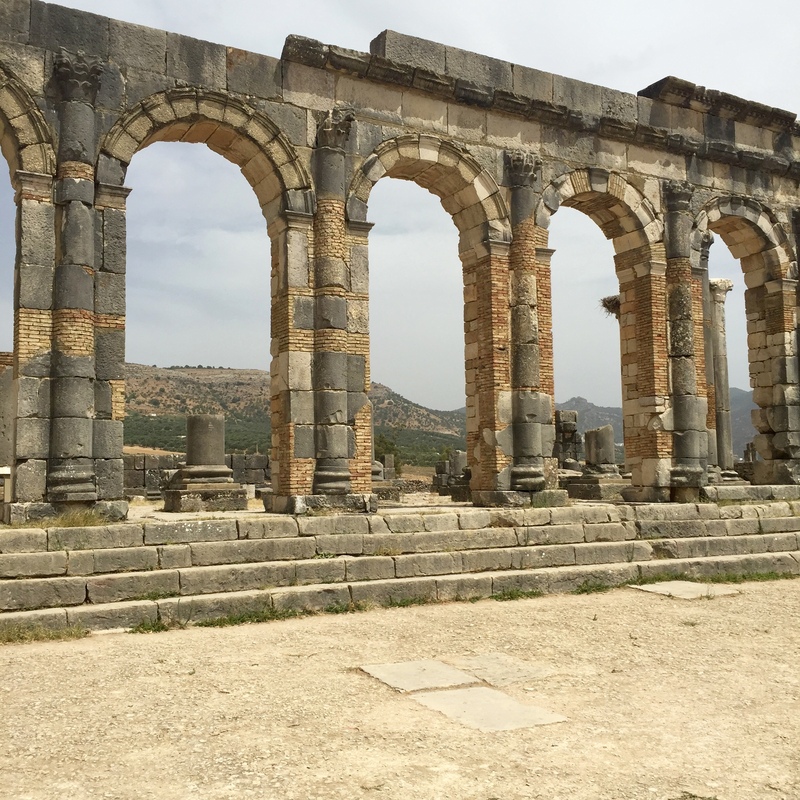 Volubilis, a UNESCO World Heritage Site, was founded in the 3rd century B.C. and went on to become a prominent outpost for the Roman Empire. Faded mosaics of bathhouses could still be spotted alongside ancient mills once used to make olive oil; the crumbled buildings now signs of a civilization lost to time. From the hilltop on which the ruins rested, low lying valleys and winding streams seemed to extend in all directions interrupted only by the silhouette of the Atlas Mountains rising in the distance. Just four days prior I had arrived in Marrakech with the same expectations many Morocco-bound travelers will have: I imagined snake charmers playing hypnotic melodies to their reptile performers, pictured henna artists and their intricate designs, dreamed of winding passageways leading to colorful souks. I hoped to find that cliche exoticism that has become synonymous with Moroccan culture and the reality was not far off. Marrakech seemed to define Morocco the way Paris can eclipse the rest of France; giving the impression that once you’ve seen the city, you’ve seen the country. The next ten days would take me from elegant seaside mosques to alpine villages to red sand dunes leaving me with the takeaway that the real Morocco is in fact found beyond the medinas of Marrakech. “You are all travelers; the tourists will go to Marrakech or simply stay in the resort town of Agadir, but what you are seeing now is the real Morocco.” After days of driving through winding mountain roads and past small villages, our Topdeck Travel guide was gushing about the real Morocco so often overlooked by visitors to his country. We were making our way through the High Atlas mountains, which extend from the Atlantic Ocean to the Morocco-Algeria border, offering up impressive views that switch from snow-peaked tips to lush valleys in the blink of an eye. From Marrakech, the High Atlas Mountains are only a two hour drive with the city offering organized day trips for travelers to take advantage of. The High Atlas Mountains are a destination for adventure travelers with an interest in the indigenous Berber culture. While a day trip to the mountains is possible, the area offers such an array of sights that it is worth spending a few days exploring. Highlights of the Atlas Mountains include the Dades Gorge, which looks as though it has been plucked from a movie set (and unsurprisingly has been used as the backdrop to many films). The orange-sandstone rises dramatically as streams cut through its valleys causing bright green vegetation to contrast with the surrounding rocks. A mere two hours away from the gorge is Aït Benhaddou, a UNESCO world heritage site and location of the HBO hit show, Game of Thrones. 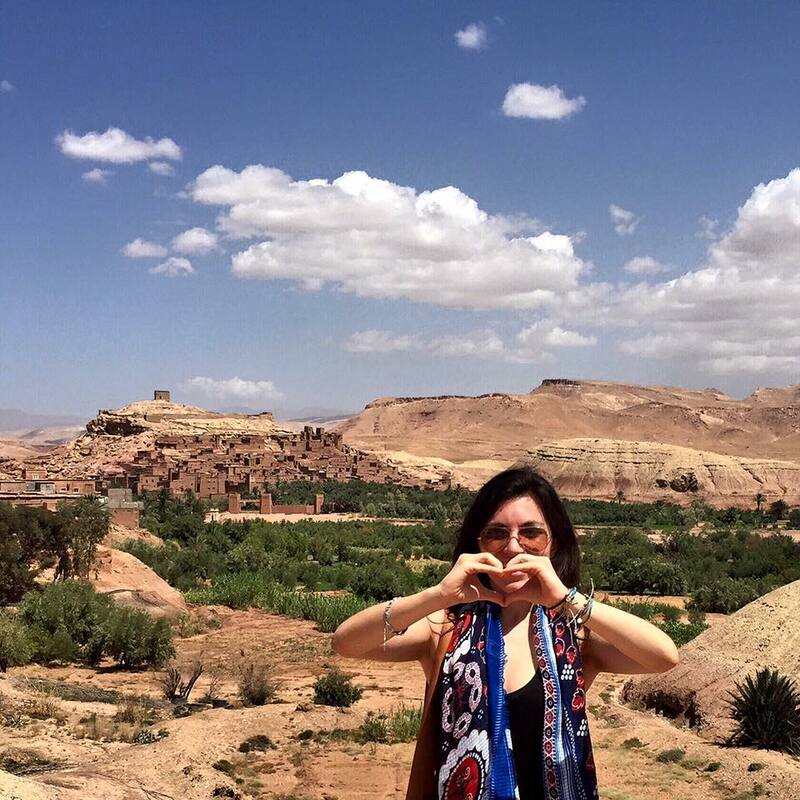 Aït Benhaddou is part of an old caravan route that once ran between the Sudan and Marrakech; today the fortified city is simply a stunning sight to behold. The High Atlas Mountains house unfathomable beauty, from sweet smelling cedar forests where monkeys swing from trees to dramatic landscapes. 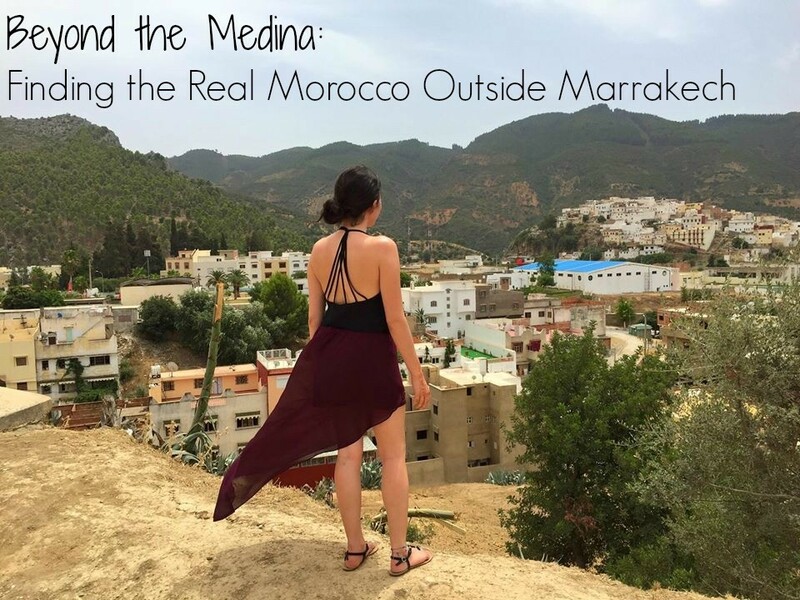 I packed many things for Morocco–swimsuits, scarves, flip flops and a lifetime supply of sunscreen–but winter clothing was not on the list. To think of snow in Morocco seems to give a nod to the issues of climate change but in fact, Ifrane is an alpine village in the middle Atlas Mountains where you can (brace yourself) ski in Africa. With its wide avenues, mountain lakes and chalets, Ifrane seems to channel a European ski resort where you’d sooner find a hot chocolate and croissant to warm up with than a mint tea and tagine. Ifrane is 1,665 meters in elevation and seems to be plucked out of the Alps in Switzerland. Located just an hour outside Fes and Meknes the easiest way to reach Ifrane is by Grand Taxi, which can cost between $15-$30 USD (Note: that grabbing a taxi from the airport in Fes will prove more expensive than snagging one from the Fes Grand Taxi Station). Once in Ifrane, the town is small enough to walk around although Petit Taxis are available if needed. While Ifrane offers nightlife, restaurants and all the trappings of a tourist-friendly city, its main draw is its surrounding natural beauty. Venture down the twisted paths of the medina in Fes and you’ll be led to the famous leather tanneries where you’ll be handed a handful of mint leaves to mask the impending smell of cow urine. Before you wrinkle your nose at the thought of willingly heading to a place where you’ll need leaves to tolerate the smell, the Fes tanneries are notably unique because of the ancient system they use to cure and treat leather. The system used is the same one that has been used for centuries in Morocco: hides are soaked in vessels of cow urine and water before being picked and laid out to dry. The hides are then placed in vats of diluted pigeon (how shall I put this nicely?) crap to be softened before being dyed. The Fes tanneries are a nod to tradition and the old way of doing things; it’s a sentiment that seems to reverberate around the city of Fes where all crafts are made by hand. Fes is considered the medieval capital of Morocco and regarded in the Arab world as the best preserved old city. 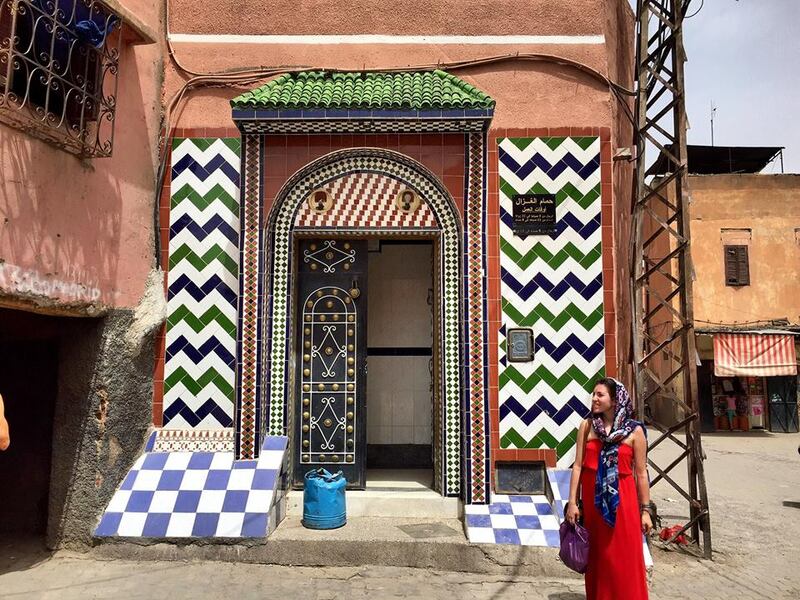 Getting to Fes is easy enough with planes, trains and automobiles connecting it to Morocco’s other main cities, such as Casablanca and Marrakech. Most travelers to Fes will stay in the old medina, as this is the highlight of the city and where most of the attractions are to be found. “Here’s looking at you, kid.” It’s an iconic line from the film Casablanca where two former lovers serendipitously cross paths and re-enter one another’s lives in the seaside city of Casablanca. Casablanca is the largest city in Morocco and is home to the seventh largest mosque in the world, the King Hassan II. The mosque is positively regal as it sits on a cliff positioned right above the crashing grey-blue waves of the Atlantic Ocean. Intricate designs and colorful mosaics adorn the exterior of the mosque while marble columns and extravagant chandeliers make up the interior. Hauntingly beautiful calls to prayer ring out over Casablanca multiple times a day as locals gather by the hundreds to kneel in prayer and gratitude. Casablanca can be reached either by plane, train or bus although trains tend to be the most convenient way to get around the country. The highlights of Casablanca include the King Hassan II mosque, beach and the small medina (which pales in comparison to the medinas of Marrakech and Fes) but is still worth exploring. Most European and U.S. travelers will find that Casablanca is already built into their itineraries as most flights connect through the port city. Seeing the Sahara Desert is like stepping into a desktop screensaver – all at once familiar yet surreal, almost too pristine and too perfect to exist. The moment you set foot on the sand, the desert seems to engulf you with its rolling orange-red sand dunes. The scenery isn’t as monotonous as one would think, instead it is stunning– extending as far as the eye can see like staring off into the horizon.The Sahara gives the impression you are miles away from civilization instead of an hour outside of the town of Merzouga. Merzouga is the last frontier of civilization before the Sahara Desert; the buildings are made of clay and straw to absorb the oppressive heat and the town feels vaguely deserted and monochrome–like the scene from an old Western film. Travelers arriving in Merzouga usually come for one reason–to ride camels out into the desert and pass the night at a Berber desert camp. The Berbers–an indigenous group native to North Africa–are a Moroccan pre-Arab culture that has ruled unperturbed and unconquered for hundreds of years in this region. To reach Merzouga, most visitors will come either through Rissani by way of an overnight bus from Fes ($11 USD) or fly directly into Errachidia, just a two hour drive away. 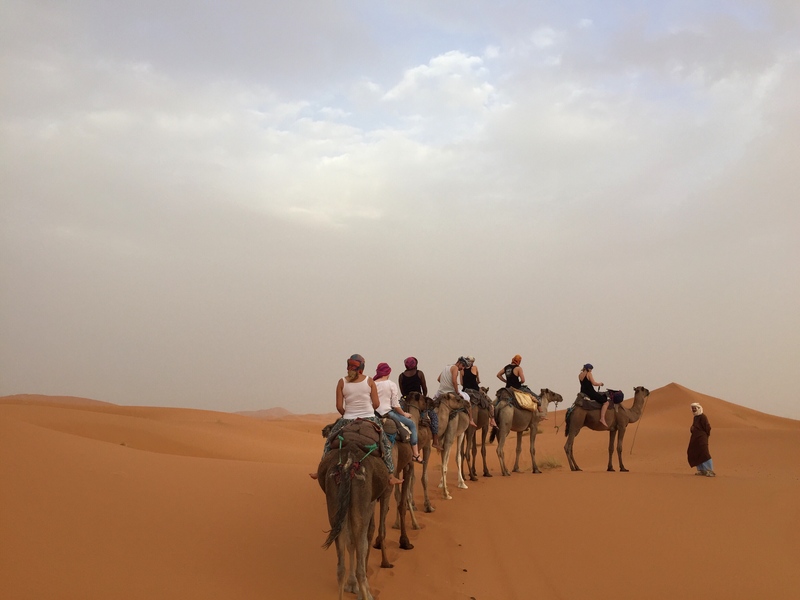 It is advised to book a group excursion into the Sahara as scam artists in Merzouga can offer rides to hotels or out of the way spots, charging their passengers triple the price. “Rock the Kasbah,” it’s a coined phrase that is memorialized in films and music and is likely the first thing said when someone brings up a trip to Morocco. 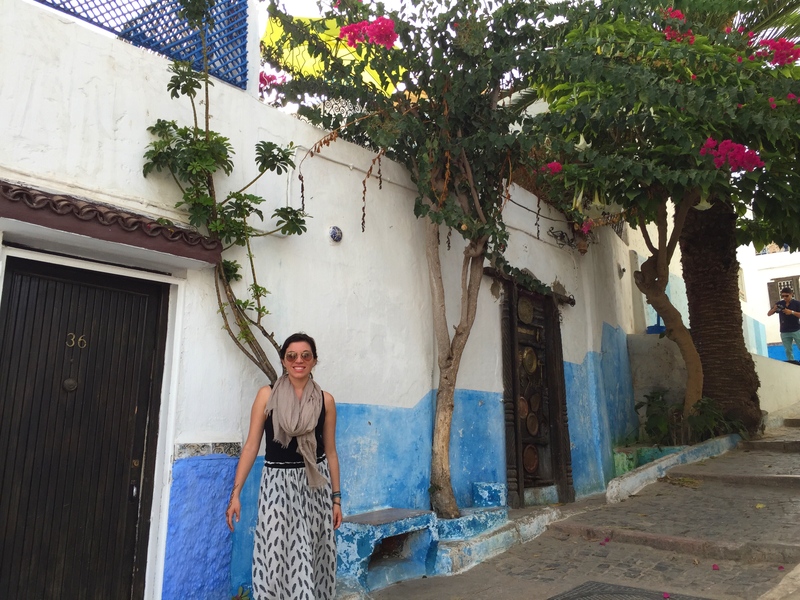 The Kasbah les Oudaias in Rabat recalls the whitewashed walls and bright blue colors so reminiscent of Santorini. Standing tall, it is a former military fort that once was home to soldiers tasked with protecting Rabat (which literally translates in Arabic to “fortified place”). 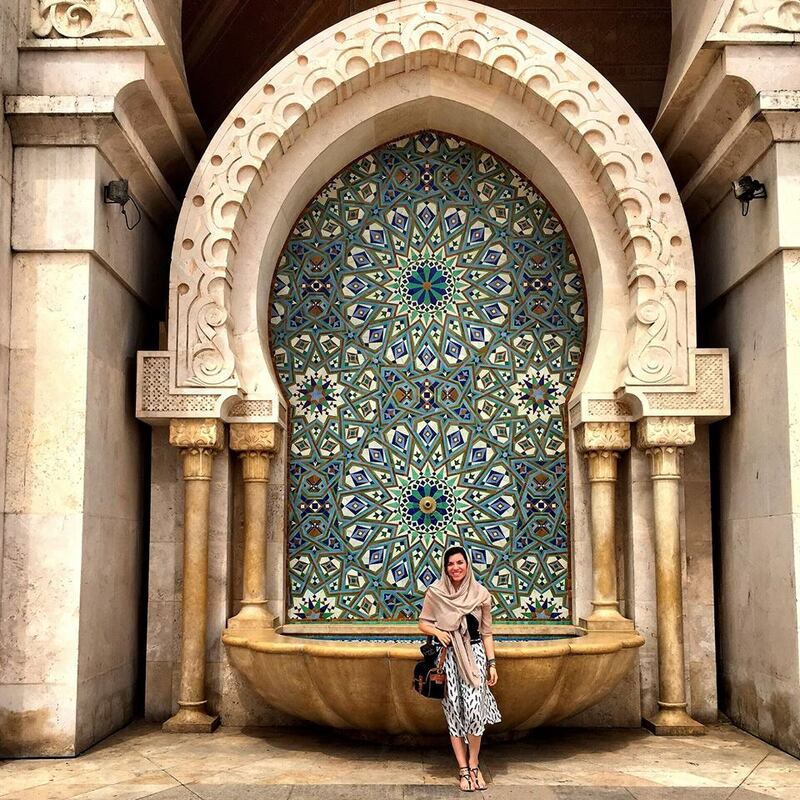 The Kasbah is one of the main attractions in Rabat and houses a beautiful botanical garden with exotic flowers and plants thriving amongst tiled mosaic. Within the Kasbah les Oudaias rests an amazing cafe–the only one within the walls that can’t be missed–which overlooks the ocean and serves up traditional Moroccan mint tea and pastries. Rabat is easily accessible by train and is a four hour ride from Marrakech and two hour ride from Fes. Nestled right on the coast, Rabat faces both the Atlantic Ocean and the mouth to the Bou Regreg river. Rabat is the second largest city in Morocco and the country’s capital; although it has often been eclipsed by Marrakech, it is finally gaining the recognition it deserves and has been hailed as a top travel destination by CNN. Ten days after arriving in Marrakech I found myself back in the Jemaa el-Fnaa square in front of the twisting paths of the famed medina. Everything about the scene was the same–the snake charmers I had expected, the henna artists I had imagined, the souks I had dreamt of–yet I was different. Having traveled around the country, I wasn’t as enamoured with Marrakech as I had first been. 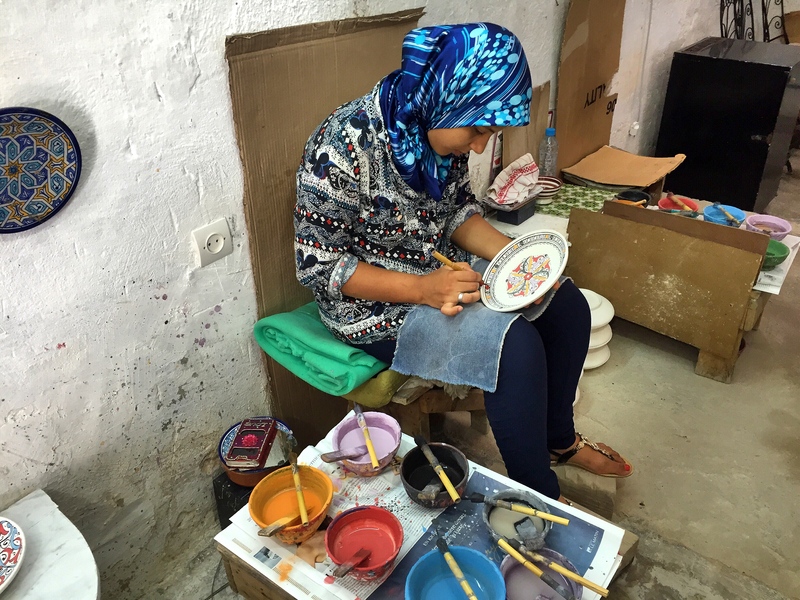 The crafts paled in comparison to those I had seen hand painted in Fes, the scenery falling short of the untold beauty tucked away in the High Atlas Mountains, the food proving lackluster when compared to the spiced tagines enjoyed under the stars of the Sahara. The glitter of Marrakech had been shaken from my eyes as I looked past the street performers and vendors, past the stores selling cheaply made items and beyond the medina to the Morocco I’d fallen in love with. Have you been to Morocco? Share your thoughts, comments and questions below! I’ve been to Ifrane and I agree, it has the ‘feels’ of Switzerland.